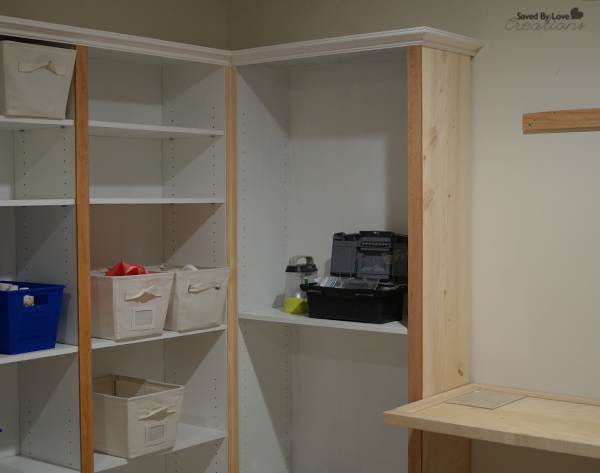 Today I finally get to show you my completed DIY custom built-ins we made using the 5 Shelf Bookcases from the Sauder website Four of the bookshelves cost less than $250, so we ended up getting four more to fill our space! These are perfect for the built-in project we had in mind, and we love the result! 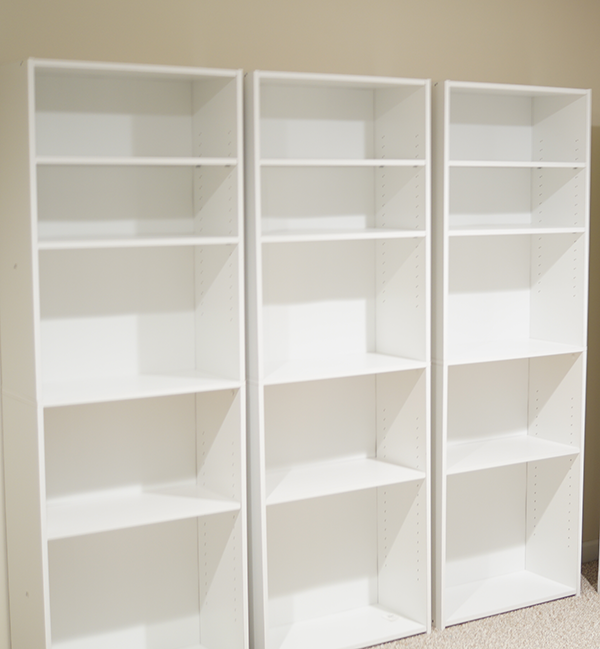 Here are the assembled bookshelves. 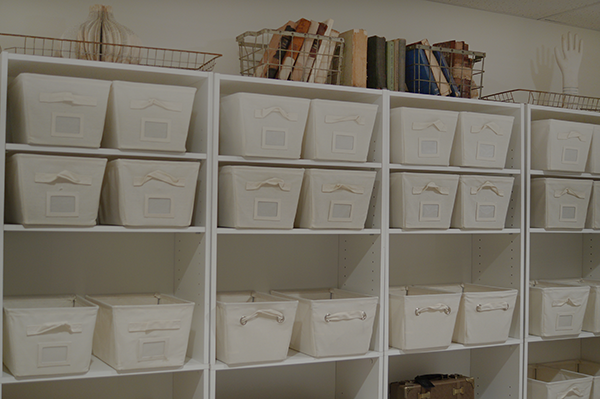 I showed you these a few months ago, before we customized them to look like built-ins here: Stylish Craft Storage with Sauder Bookcases. They looked great then, but we wanted to add trim where they meet, and wrap the tops with crown molding and bottom with the room’s baseboard to tie them into the room. We removed the room’s baseboard on the walls where we would be putting the bookshelves. There were several things we ran into during this project. 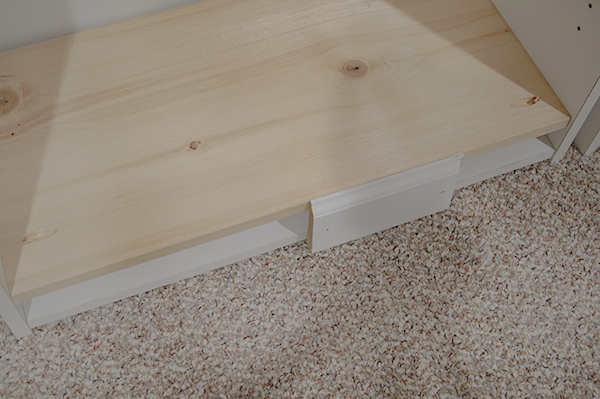 The first was we notices the baseboard was higher than the bottom shelf, so we added a new bottom shelf with 1×12 wood to be flush with the top of the baseboard. 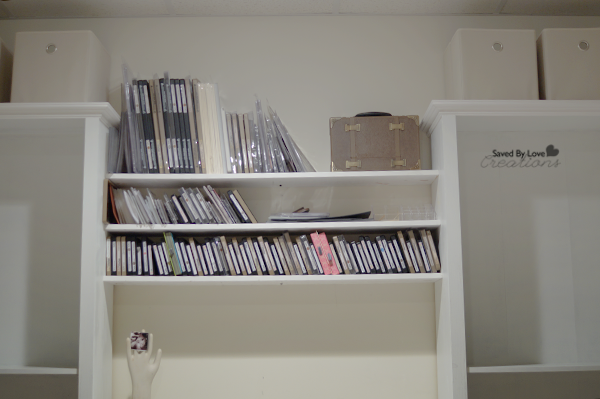 We attached the shelves with pocket holes using the Kreg jig. Where the bookshelves meet, we had 1.75 inches to cover, and we found the perfect trim at our local hardware store. On the edges where there was just one bookshelf wall, we put 1×12 wood as shown so the 1.75 inch trim as flush on both sides. 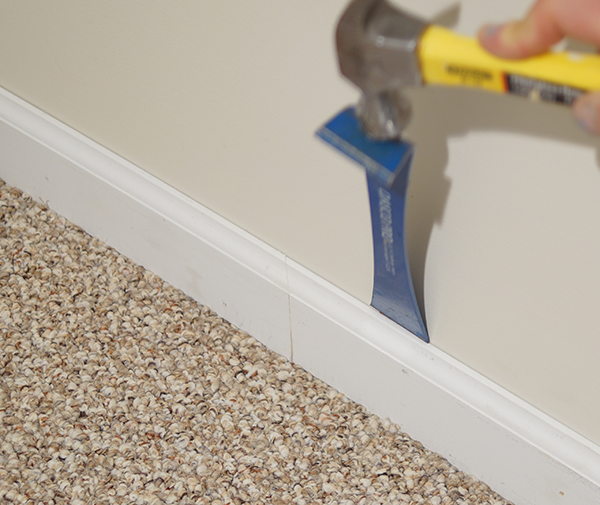 We started with the baseboards and used construction adhesive along with the nailer. 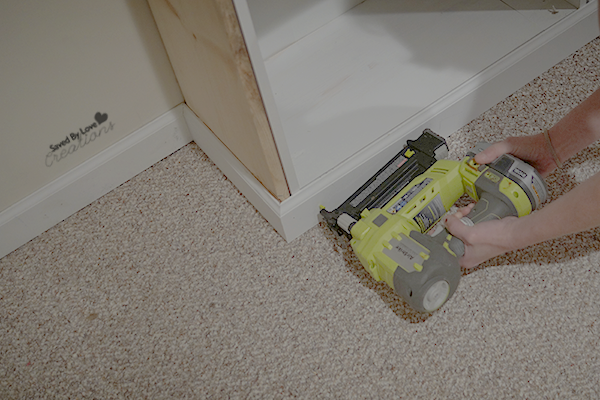 Luckily we found baseboard to match what was already in the room! We found this molding at our local big box hardware store and I was elated. We didn’t have to figure out any complex angles since the molding was solid to a right angle!! Phew. 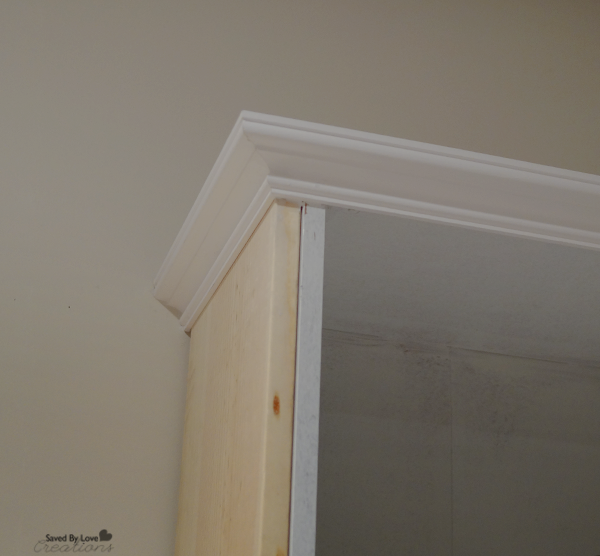 You can read about our first experience cutting crown molding here: DIY Kitchen Cabinet Upgrade. 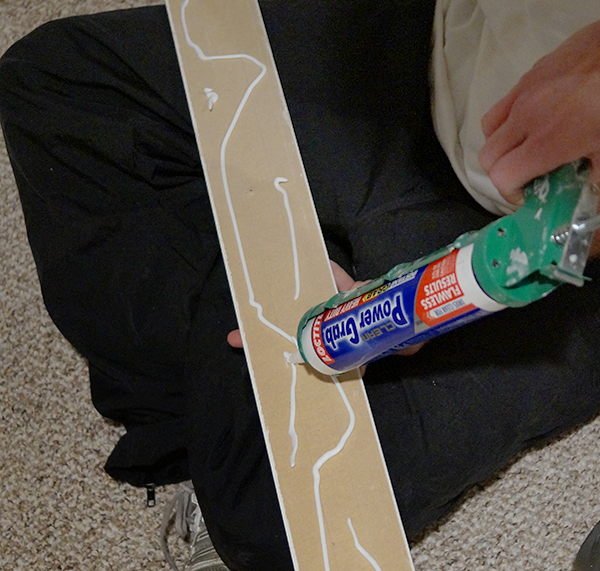 For the molding, baseboard and trim, we used construction adhesive and our cordless nailer to attach. 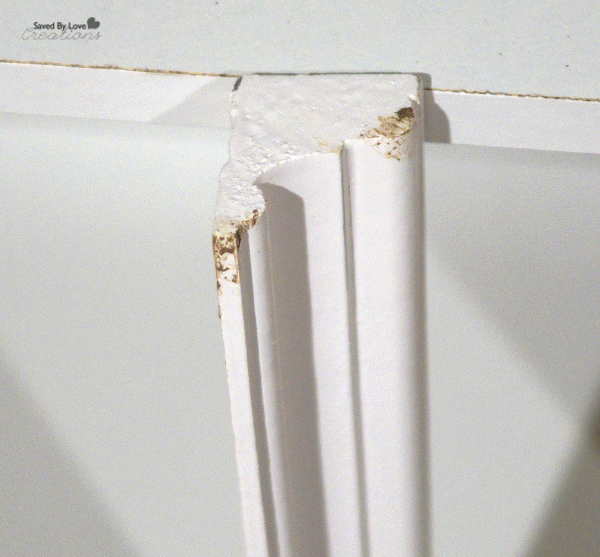 We started with the baseboard and molding, then added the trim to cover the seams. 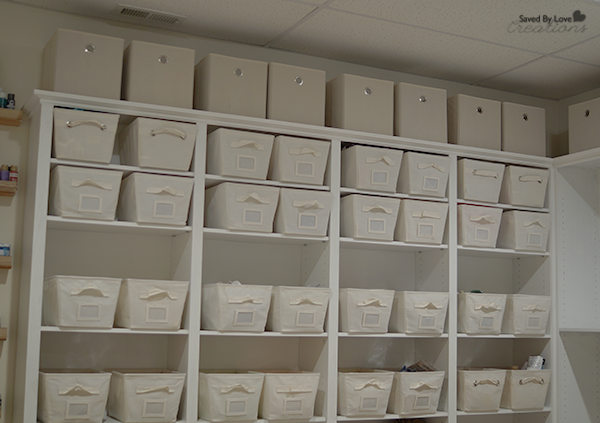 We found corner trim that was perfect for the corners at the hardware store. We used an unfinished cabinet door we scored for free on Craigslist as a desk in between shelves! 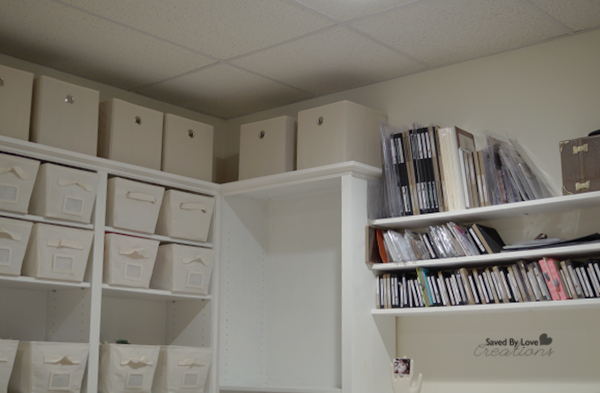 Above the desk we placed three 1×6 shelves, attaching them to the wall stud and bookshelves on both sides using pocket holes. 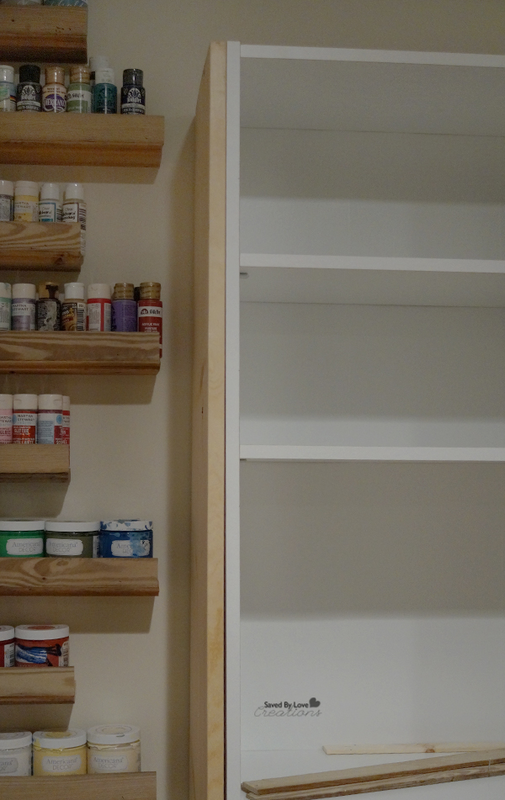 To see how I made the shelves on the left check out this tutorial: DIY Pallet Wood Paint Storage Shelves. We primed and painted the trim and added wood and that was that! These bookshelves are great as they come. 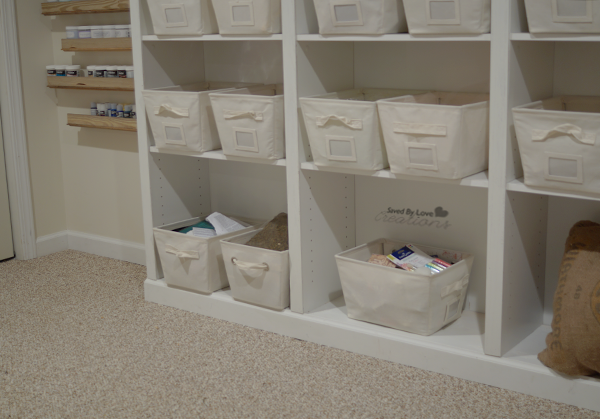 With just a few supplies and a day’s time, you can customize them for designer built-in style! 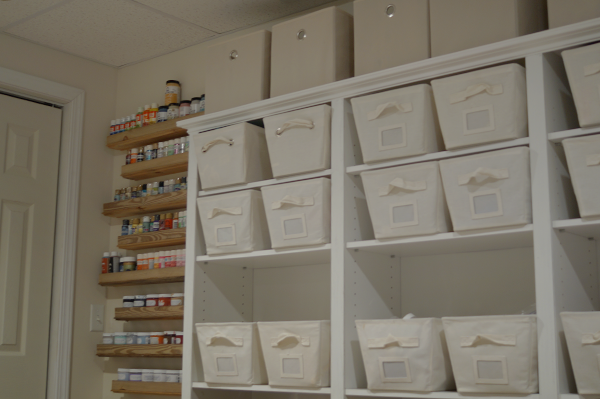 line of ready to assemble furnishings for your home, including entertainment, home office, bedroom, kitchen and storage! Visit my Woodworking Pinterest Board for more home decor and furniture ideas!